A new mixed-use building is being proposed for the site at 325 Lytton Avenue in downtown Palo Alto. The existing parking and access easements comprise portions of the lots, which are accessed across various properties. 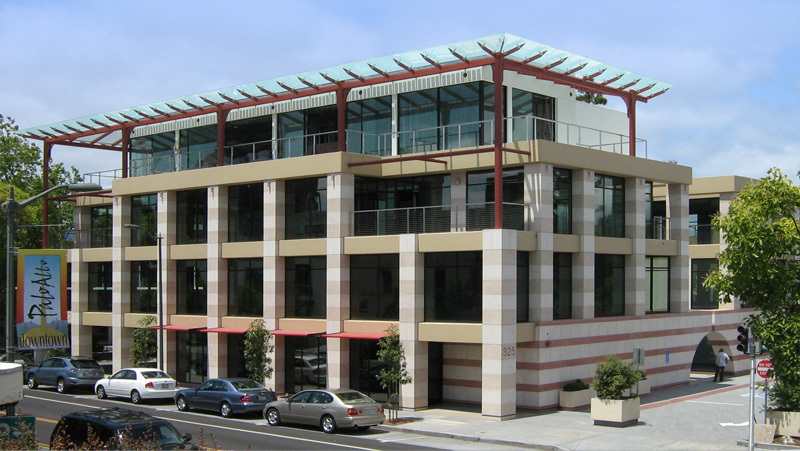 As this building is located on Lytton Avenue in a transition zone between commercial buildings and residential uses, the architectural expression is contemporary without being harshly modern. The building is being designed to incorporate Green Building features, including a photovoltaic array. These photovoltaic cells are integrated into the canopy that shades the 4th floor deck for a residential unit. The aluminum-frame windows are deeply recessed and are glazed with high performance double glazing units.